What the heck? When I came across this thread I was thinking someone had acted upon my own thoughts in just the last few days. Is this the Alex who has been MIA since towing the Outback up and down countless hills at Abercrombie a hundred years ago when it broke a front driveshaft? Yup. Back in a Subaru of my own again (Wife has a Tribeca). Mate, that trip to Abercrombie was the very first trip I ever did in the Patrol, so you're topping and tailing my Patrol days. I'm getting it ready for sale. Hold the phone... didn't you move on from the Outback? Thanks for the welcome back, Kevin. Coming back to the fold was only a matter of time. We love our Subarus, but we have had too many kids for any Subie to fit us all in the daily duties until now that the eldest kids have their own cars. For now, I'll suffer with a turbo Forester. It wasn’t my car. I was a passenger in Damien’s car (also MIA). It was Eden’s (another MIA) that broke the driveshaft. He had some el cheapo Chinese driveshaft. 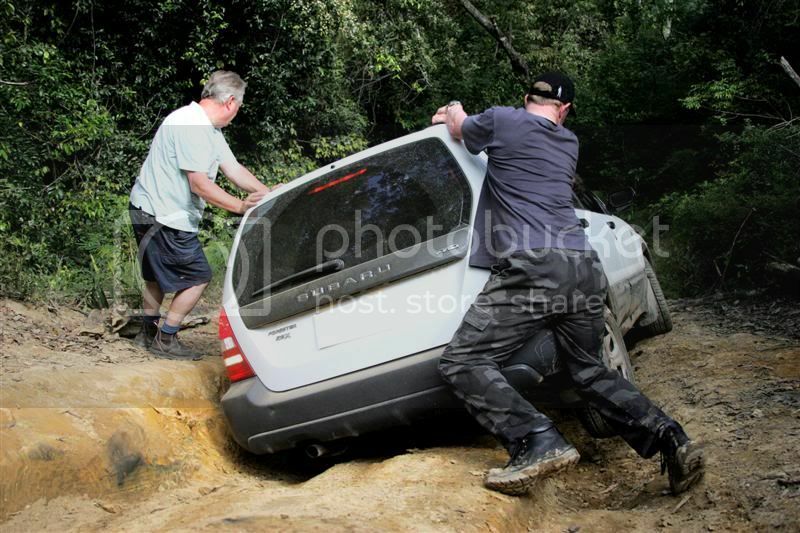 Are you interested in doing group off roading trips again? Wow. What a memorable trip that was. Thanks for joining the dots. As for doing some group offroading trips, absolutely, that is the goal of getting the mod's done. Once I've got the Patrol sold I'll be able to justify buying the springs, shocks etc. Might be able to get the lift kit sorted ahead of all that. Keep me in the loop for trips coming up ok.
Ah yes, memories. Mine's not the best, so photos do help :-) Was that at Abercrombie? Incidentally, my wife, too, has a Tribeca but I sold my beloved Outback for a Toyota due to cargo plus more capability in the rocky US Southwest. I have never had a Forester though the 2009-13 turbo model really appealed to me. Maybe I will take one of those when the days for suffering approach?